This particular watch has a stainless steel polished cushion shaped case, a simple, smooth, polished bezel and a stainless steel case back. 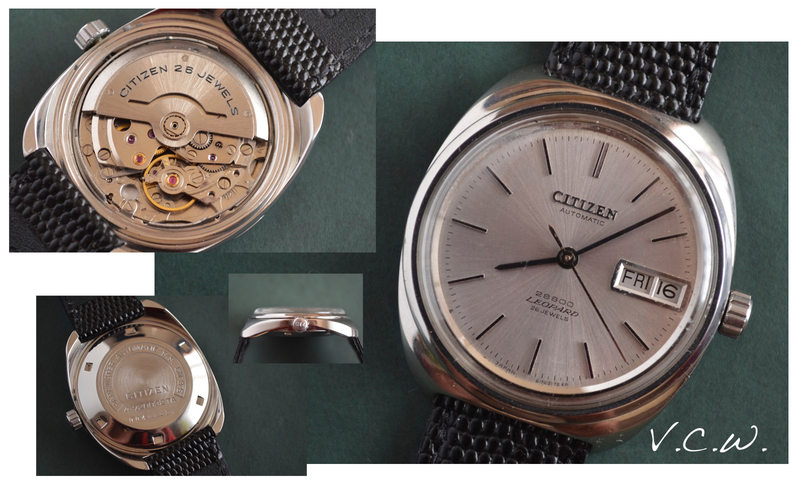 It was made in April 1974 (funny thing I have noticed – a lot of the Citizen watches I have/had were made in April). The quartz revolutions was about to change the watch world. 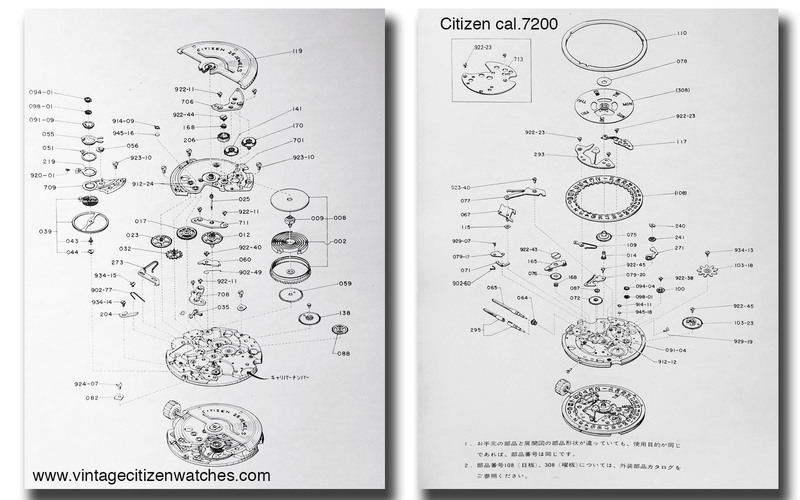 Just think about the fact that Citizen today is the largest watch company based mostly on quartz, the very same quartz that almost killed what we love so much, the vintage mechanical Citizen watches. 😦 The dial is silver, simple, with a beautiful sunburst effect. The applied hour markers have a black line while the 12 o’clock one has two black lines. These black details work very well with the black hour and minute hands. The sweeping second hand is polished. 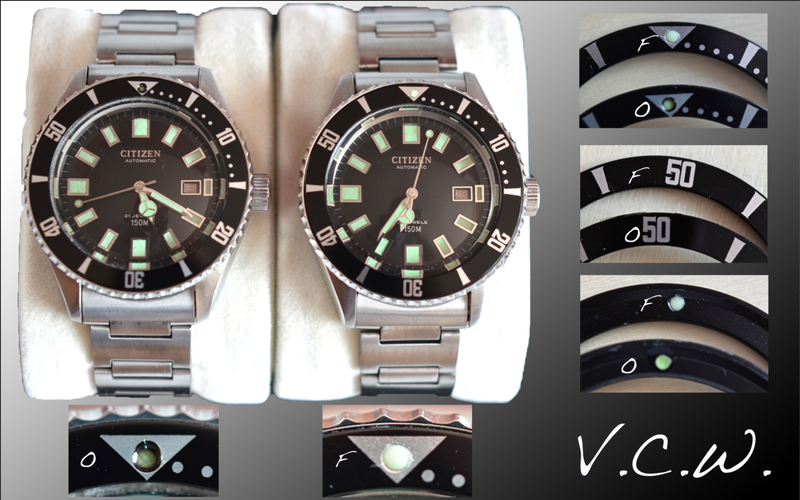 The Citizen logo is also applied while the rest of the text is printed in black: “automatic, 28800, Leopard, 26 jewels”. One can easily understand from reading the dial that the movement inside is automatic with 26 jewels. On top of that it can also be winded by hand. The date is quick set while the day changes by advancing the hands past midnight. It is a hacking movement (the second hands stops when setting the time). The picture below is a part of the scans made by me of Citizen vintage catalogues. As a conclusion: beautiful watch and an interesting reminder of how fate works!